After more than 30 years of dealing, Otto Naumann is to join Sotheby's Old Master department in New York at the end of the summer as the senior vice President and Client Development Director. The news was an unexpected announcement following tonight's Old Master evening sale at Sotheby's in London, which totalled £42.6m (with fees). Only six months ago, in January, the New York based Old Master dealer sold most of his inventory at Sotheby's New York. At the time he said he was retiring, but in March he was back exhibiting at Tefaf Maastricht alongside his son, Ambrose. Evidently, retirement is not for him. Auction house staffers becoming independent dealers is a well trodden path, but it is less common to go the other way, although George Wachter, the chairman of Sotheby’s America and co-chairman of Old Master paintings worldwide, says the auction house has a history of hiring "elder statesmen who then go on to work for us for many years". He adds "Otto is unbelievably bold and full of ideas — as a dealer, he looks at things in a totally different way." At a time when some are worried about a knowledge drain in auction houses, Naumann will certainly bring experience. 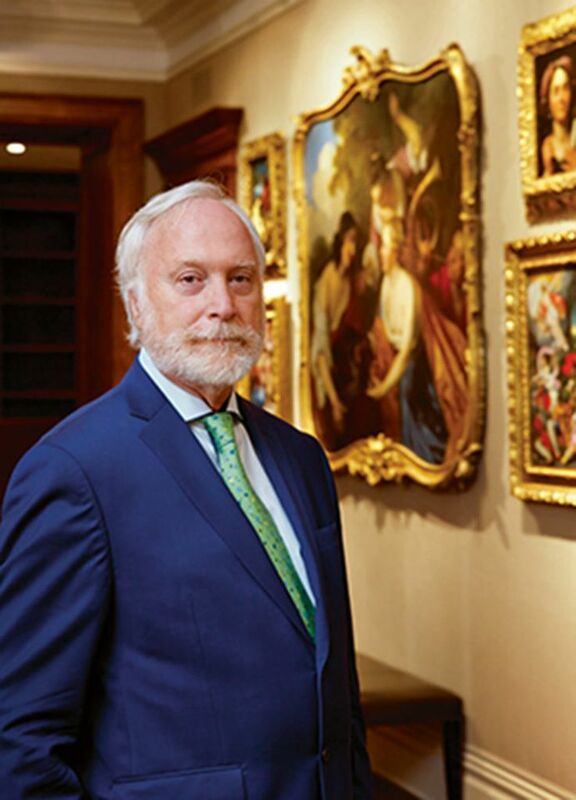 George Gordon, the co-chairman of Sotheby’s Old Master paintings worldwide, adds pointedly: “We're not, at Sotheby's, in the business of outsourcing scholarship. We make our own attributions."